Today I start my Piemonte wine tours. 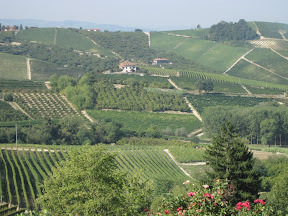 I don’t think words can truly describe Piemonte (“Piedmont” to Westerners). Somehow breathtaking, beautiful, and awesome all seem quite hollow. The land showcases rolling hills, acres and acres of vineyards (150,000 acres to be exact) and gorgeous colors. I can truly say that my first one tour in the region tops any other I’ve experienced. Ex-pats Leslie and Robert fell in love with Piemonte about 15 years ago and have now been residents for five years. They offer travelers wine tours, cooking classes and exorbitant information (tailored to your interests and time, of course) via their company, Travel Langhe. Beyond Piemonte wine tours and cooking classes, they also assist with accommodations, transportation and overall planning. It’s widely thought that to go to Piemonte you must have a car, which deters many would-be travelers due to costs and driving nerves. But, if you do it right, select the right lodging and use a service like Robert and Leslie, it can certainly be done sans rental wheels. That’s what I plan to do for my trip next year. Sommelier Robert was my guide, my teacher and my driver in the morning. We started the day in Barbaresco. He educated me on the soils, production, the grapes and on irrigation. The practice of irrigation is illegal in all of Italy, but you can do it for the first three years if you’ve just started a vineyard, though wine from the young vineyard can’t be sold unless it is four years old. We started the Piemonte wine tour at Barbaresco vineyard Giuseppe Cortese, my first formal Barbaresco introduction. What a start. They call Barbaresco the queen because it’s softer than Barolo. The nebbiolo grape, from the word “nebbia” meaning fog, yields amazing tastes that create Barolo and Barbersco — arguably some of the world’s most amazing wines. Oh my, where to even begin. As far as the eye could see stretched acres and acres of the Barbaresco region. In total, the space would fill 1.5 times the size of NYC’s Central Park. Our host at Giuseppe Corteses runs the old family winery with her brother. Such an amazing legacy to carry on. 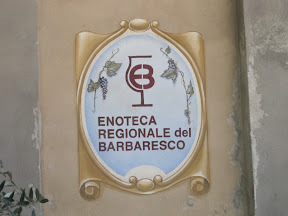 Next we headed to the adorable village of Barbaresco where we hit up the Enoteca Regionale del Barbaresco, which features only wines of the region. 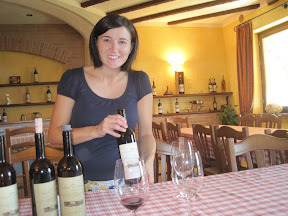 Here I met a lovely Aussie couple who came to Piemonte in May and loved it so much they returned but five months later. That’s quite a trek for a two week adventure. But, that’s what Piemonte does to people. Damn, I wish I could do this more. They were out sipping wines and exploring the region. Back to the Enoteca Regionale experience, as it deserves some ‘splaining. Fourteen regional wine centers exist in Piemonte featuring wines from that area, think Barbaresco and Barolo to Mascato d’Asti and more. According to Robert these enotecas are not allowed to sell the bottles in the store for more than the price at the seller door. A different spin from domestic wines. I know I’m going to shatter some dreams, but the reality is, in Napa, you pay a good amount more to buy at the winery than you will pay down the street at a wine shop. But, that’s for another blog post. It would be an amazing experience to just spend a week hitting up all the Enoteca Regionales as they offer wine tastings right in the store for about two euros a pour. But, just remember you won’t get direction on what to taste from the pourer — I got the sense it’s because they can’t show favortism. I suggest either getting someone like Robert to include stops there in his wine tour for you, or go after some good solid education on the area; the tastes vary dramatically by area. 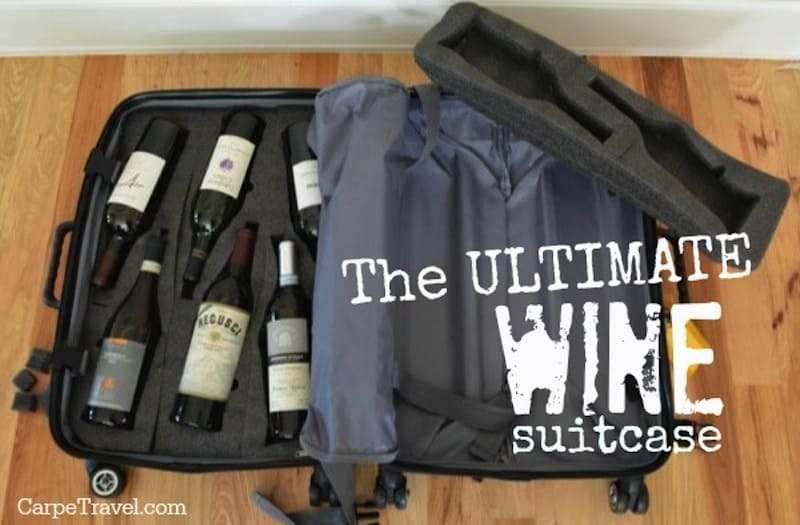 Oh, and if you are just in it to sip and enjoy, there’s certainly that option! From there we ventured back to Robert and Leslie’s quaint little apartment in Barbersco’s village of Nieve for lunch. Lisa had done a cooking class with Leslie in the morning and now we were to experience that food. It was all incredible. The foccacia barely stayed on the plate. The meat filled ravioli was decadent. 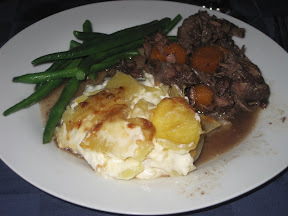 For our main course we had a veal in Barolo, green beans and the most unbelievable potatoes with cream. I’m making those for Christmas Eve this year. After some fun conversation and brilliant food we ventured off to Barolo for more wine tastings. Dolcetto DOC: Dolcetto is what the Piemontese refer to as their lunch or pizza wine. It’s a simple light wine that drinks young. They wine is primarily aged in steel and very rarely sees oak. The wine is purely of the dolcetto grape — no blending allowed. Barbara d’Alba DOC/Barbera d’Asti DOC: The d’Alba Barbera also sees no blending. The grape is full bodied with high acidity making it very food friendly. d’Asti is a minimum of 85 percent barbera with dolcetto, grignolino and freisa used occasionally to blend. Here the grape sees more yield so they can do more style ranges and flavor profiles. These wines tend to be fruitier and fatty. 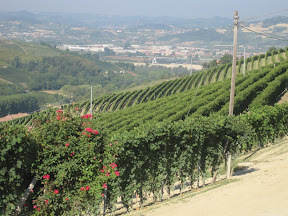 Nebbiolo d’Alba DOC: These are often referred to as a baby Barolo. Basically, they didn’t make the cut for Barolo or Barbaresco, OR the wine maker simple wanted to sell them sooner. 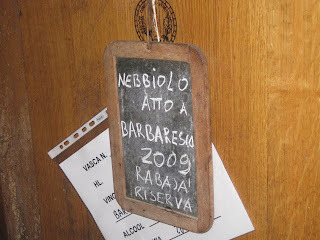 Barbaresco DOCG: Made from 100 percent Nebbiolo. The aging requirements include two years, minimum of nine months in wood. Riserva is a minimum of four years. Barolo DOGC: Made from 100 percent Nebbiolo. Aging includes three years with 18 months in wood. Riserva is a minimum of five years. The wines in Piemonte are simply amazing as they are so big and tannic; yet they are not overpowering as the acid and tannin balance is done so perfectly. It’s almost haunting. I kept getting raspberries and strawberries on the nose. Robert calls the wines, “Vini da meditazione”: wines to meditate over. These elegant wines need time to explore and enjoy. Your final sip will be dramatically different from the first. It’s magical, really. On this day, I fell in love with Piemonte.